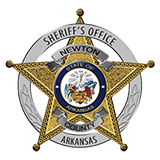 The Arkansas Sheriffs' Wives Association will be sponsoring a Concealed Handgun Carry License Course on May 31, 2014, at the Newton County Sheriff's Office at 1:00 pm. There will be class instruction, followed by a short drive to the range for qualification. To sign up for the class, please contact Angela at (870)715-5624.